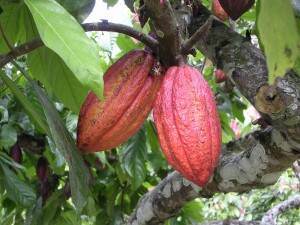 Cocoa Butter is expressed from the dried and roasted seeds of the Theobroma cacao tree. It’s not a carrier oil, per se, but rather a solid fat, and has a plethora of skin nourishing properties. For this reason, cocoa butter is a popular base for aromatherapy products like lip balms, body butters, massage blends, creams and other natural skin care products. Aroma: The aroma is unmistakable. Unrefined cocoa butter smells like chocolate. 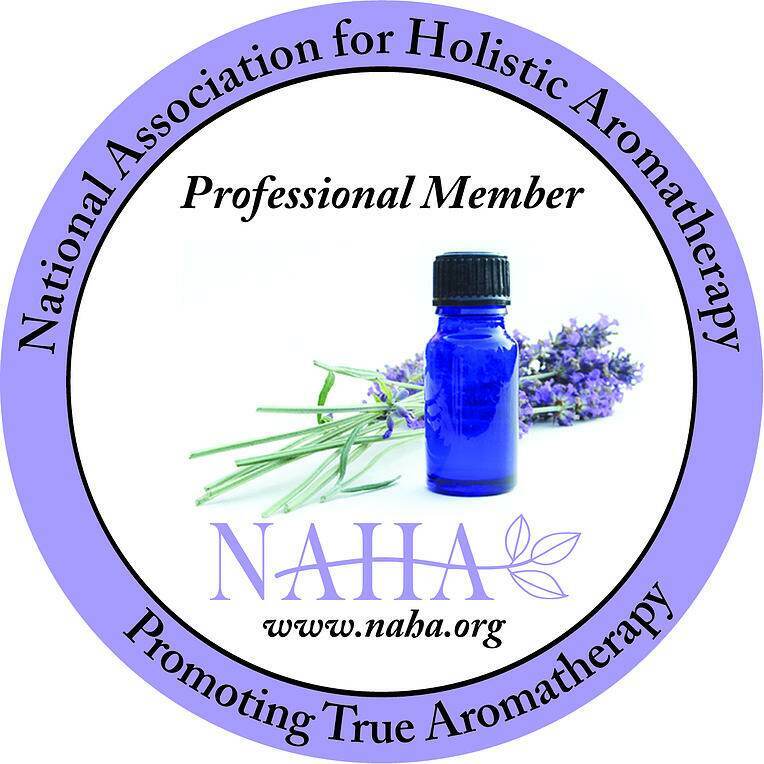 My 7-year -old grandson loves when I massage his feet with it and always says, “Mmmm…Nana, now I want fudge!” However, keep in mind that this same aroma can overpower the aroma of essential oils. The chocolatey aroma is less noticeable in refined or deodorized cocoa butter, but refined cocoa butter also offers less benefits to the skin. 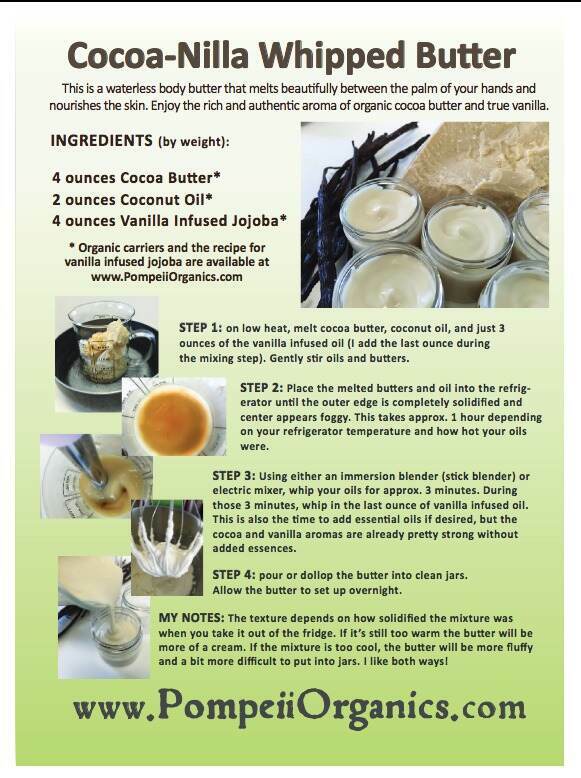 Skin Lovin’ Properties: Cocoa Butter has everything you want for your skin. • Helps retain moisture and improve elasticity. Texture: Be warned, this is one rock solid butter. It softens at body temperature, but can be difficult to work with at room temperature, especially if you buy a big block of it. You’ll almost need an ice pick to break it up. For this reason I love working with cocoa butter wafers. The wafers are round and about the size of a quarter making them so much easier to work with, plus they melt faster. Remember to choose organic, unrefined cocoa butter, free of chemicals that are used in bleaching and refining. Refining removes its wonderful skin healing properties. Shelf Life: About one year, but if stored in an airtight container and in a cool location you should be able to keep it for about five years. 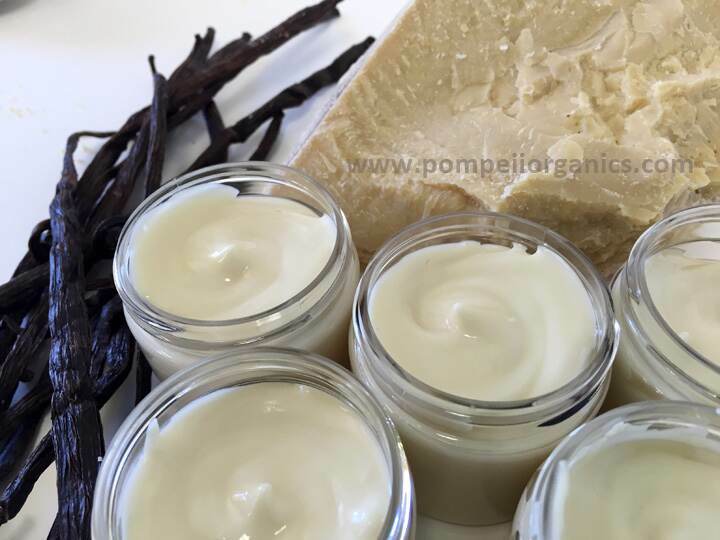 Jess Grill of Pompeii Organics recently made a batch of this incredible whipped butter, and I was lucky enough to receive a nice generous sample from her. 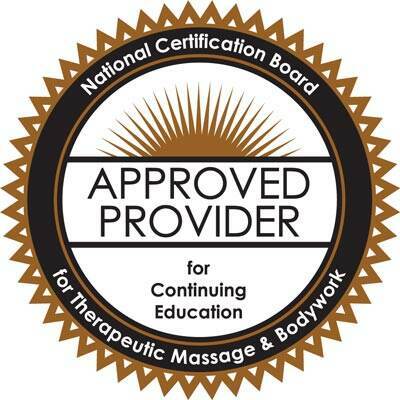 I used about an ounce of it on a massage client who had very dry skin and she couldn’t stop raving about how soft her skin felt afterward. I was especially delighted to see that it didn’t leave a greasy residue on her skin or my hands afterward. I used another small batch on my grandson to massage his back at bedtime, then used up the rest of it on my face. I’m in love with this whipped butter! If you’d like to make some, just click on the recipe image below and you’ll find step-by-step instructions and a downloadable pdf file you can keep forever. Do you use Cocoa Butter? How? Leave a comment below and share. I’d love to hear from you! Have YOU ever made your own laundry detergent? Interested in learning more green cleaning recipes? 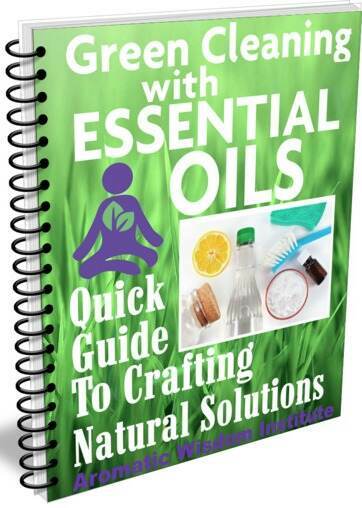 My ONLINE course “Green Cleaning with Essential Oils” explain the dangers of using commercial cleaning products and teaches you some natural, non-toxic and healthy alternatives through the Green Cleaning Guide, webinar slides, audio teaching and video tutorials! What’s in the Mix? Do you know the difference between GC/MS and MSDS? This is great, Liz! What a great time of year to enjoy Cocoa Butter. It’s a classic. Thank you for this beautiful post.